Some simple ways to deal with sensitive teeth. Do you have sensitive teeth? 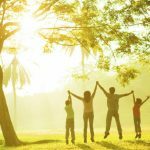 Does it interfere with your enjoyment of foods and activities. You don’t have to live with it. 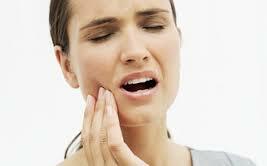 There are many causes of tooth sensitivity so many people suffer needlessly. Some potential causes are: exposed dentin, acid reflux, acidic diets, dry mouth, abrasive products… Nobody should have to live without ice cream. 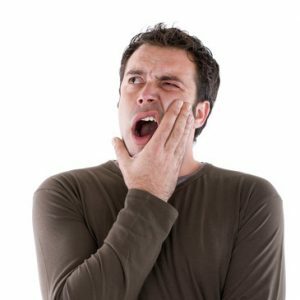 Here are some simple things you can do to reduce or eliminate tooth sensitivity. avoid whitening products-most whitening toothpastes are abrasive they scratch and thin enamel over time which can lead to sensitivity. Whitening gels or strips have peroxide. Peroxide causes the teeth to be porous in order to effectively lighten them. This increases tooth sensitivity. Using them everyday is a big no no especially if your teeth are already sensitive. If you are interested in whitening and have sensitivity talk to your dental professional. There are options available. Try a desensitizing toothpaste-before you say you have and it didn’t work…Did you follow the instructions? A desensitizing toothpaste works by physically covering the surface of the tooth with either potassium nitrate or arginine. This agent needs to be applied daily to be effective and may require a few days to take effect. Also acid reflux or an acidic diet may interfere with optimal results. If all else fails professionals also have access to professional strength products don’t hesitate to get advice. Avoid acidic foods and drinks-wine, lemon water, energy drinks etc. Regular consumption of these things thin enamel over time and can lead to or worsen tooth sensitivity. An untreated gastroesophageal reflux condition or acid reflux will also have the same result. If you have sensitivity or notice a consistent yellowing or darkening of all of the teeth and don’t have an acidic diet see your dental professional or MD. Do not I repeat do not brush after acidic foods or an acidic event like vomiting. The teeth are soft and need time to recover brushing them immediately will only result in loss of more tooth material. Rinse with plain water or baking soda in water to allow time for the pH to return to normal. Stay hydrated-believe it or not drinking enough water is linked to your mouth health. We need water to produce saliva. Having enough saliva is necessary for the teeth to be healthy and remineralize following acid attacks caused by what we eat. Without it the teeth slowly weaken and break down. Saliva also contains healthy bacteria that fight off viruses and bugs that may make us sick. Drink 2-4 litres of H20 a day depending on environmental conditions and your activity level. I know I repeat myself but talk to your dental professional-believe it or not we know a thing or two about teeth:) We also are in the loop on new products or professional treatments that can help you find relief. Small habit or diet changes may solve your problem or your sensitivity may be something that requires professional attention. Avoiding care will just make it worse. Tooth decay or damage caused by grinding both are responsible for sensitivity and get worse without treatment. Tried all of these things and still suffer? Here at Embrace Dental Hygiene I offer a complimentary consultation that will only take a few minutes. A short survey will eliminate potential causes and address the cause of your sensitivity. We can then determine a course of action that will reduce or eliminate your tooth sensitivity. Treatment is often as simple as appropriate use of an effective desensitizing toothpaste and avoidance of certain foods. But it can be life changing. Call me 519-736-1100 to set up your complimentary consultation today! 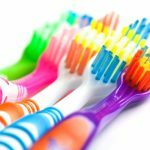 Tooth Brushing Tips-How, when and with what tooth brush?